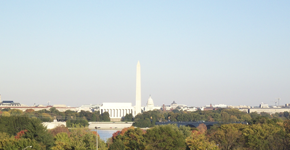 Washington DC Counseling - Call (202) 478-9619 and make an appointment. Please feel free to give us a call at (202) 478-9619, send an email, or simply fill out the form on the contact page. Are you in a place in your life you never thought you’d be? Are you confused about which direction to take in a certain situation, or heartbroken by the loss or a loved one? Maybe you’ve gone through a divorce or lost a job that you thought you’d have for the rest of your working life. No matter what your personal situation, while it might be hard to believe, others have experienced the same feelings you are having now. For some people, the pain and the confusion pass with time. For others, they may need a little guidance and help along the way. We know that life’s problems can often be overwhelming. However, you don’t have to face them alone. DC Counseling Services passionately believes that clients shouldn’t need to wait months, weeks, or even days for a counseling appointment. Call today at (202) 478-9619. You may doubt your strength and ability to make positive changes in your life. DC Counseling believes in you. If you are anxious about calling, that's okay! Just email me here.